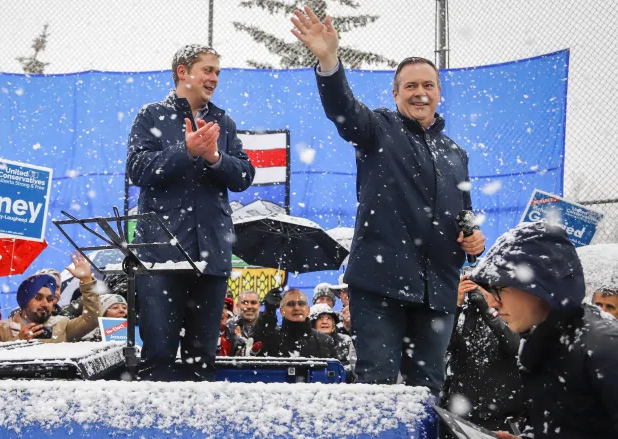 Alberta is friendly turf for the federal party leader — even when the weather isn’t. The two stood on the back of a pickup truck in the middle of a baseball field Thursday, with the snow falling so heavily that a few hundred supporters stood caked in a layer of white. It might have cut the rally a bit short. But then, the two leaders really only had the one, shared message.